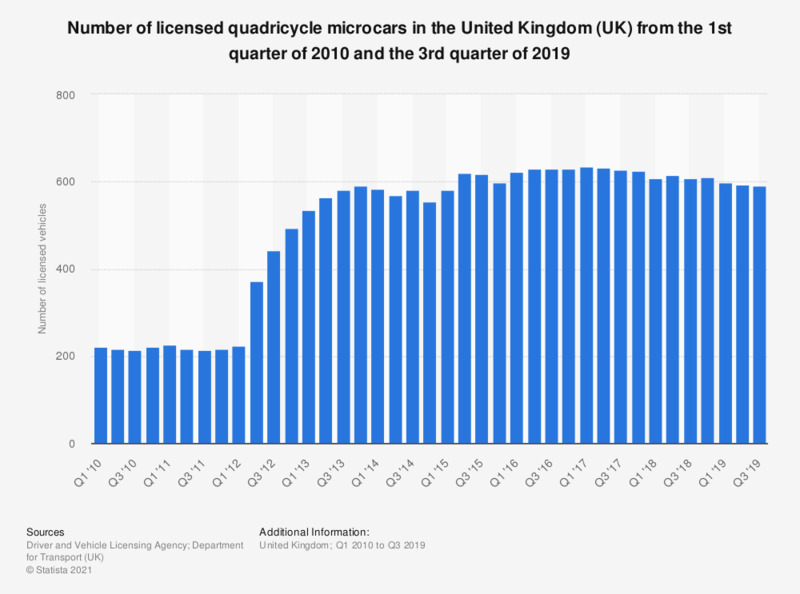 This statistic shows the change in the number of licensed quadricycle microcars in the United Kingdom (UK) between the first quarter of 2010 and the third quarter of 2018. Quadricycles are small electric cars of less than 400 kg. Although quadricycles were not particularly popular in the UK, the number of them in the UK increased from 222 to 608 over this period. The peak value was 634 vehicles in the first quarter of 2017.